Learn how to save money on groceries and how to reduce food waste. The average American wastes more than 200 pounds of food a year—that’s a lot of wasted dollars too! 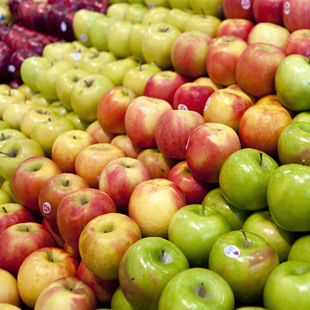 Here are a few tips that may help you stop wasting food and money. 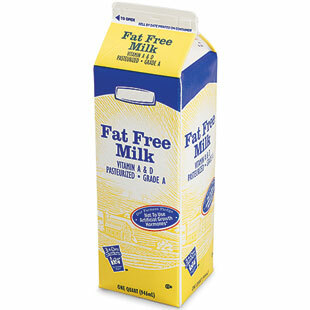 This may seem like a no-brainer, but often you’ll find varying expiration dates on identical products. Stores use expiration dates to indicate freshness, moving the newer products to the back of the shelf with the older ones within grabbing distance. If you want the ultimate in freshness, check the products behind what’s directly in front of you—you may find fresher ones hidden there. The meat behind the counter may look good (and chances are it probably is), but you can’t tell by looking how long it has been on display. You could ask the butcher how long it’s been there or you could ask for a fresher cut from the back. Your eyes and nose never lie—meat starts to color after it’s been cut, so if beef looks dark or pork looks a little gray, avoid it and get another piece. 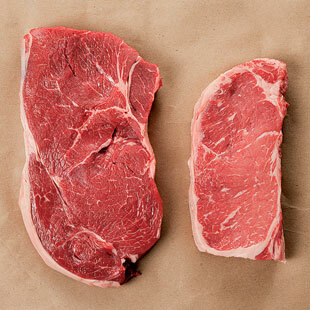 It may be hard to smell if your meat is packaged, but if it has a strong odor, avoid it. Proper storage is key when it comes to making food last. Store raw meat in the meat drawer away from cooked food to avoid contamination and to keep the temperature consistently cold. Dairy items should be kept in the back of the fridge—not on the door. Even dry goods don’t last forever. Canned and boxed foods are best kept in a cool, dark pantry away from heat; store things like nuts and whole-wheat flour in the fridge or freezer. Ever come home and wonder why you bought an apple with a bruise on it? Or bread or berries with fuzz growing on them? It’s because you were shopping on autopilot. Take some time to look at what you are buying. Giving it a once-over will help you avoid disappointment (and save you time rebuying or returning the item) when you find flaws after your purchase. Once your food is home, keep tabs on it. 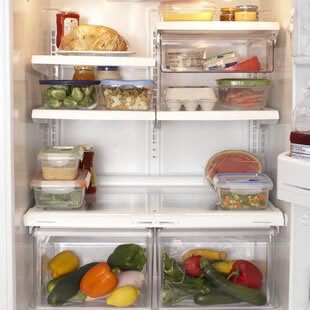 Move your perishables in plain view so you know what you have. Check the fridge before you go to the grocery store so you don’t purchase something new that you already have. Pick a day of the week to go through your fridge and see what’s in there and try to plan your meals around the stuff that’s nearing its expiration date.